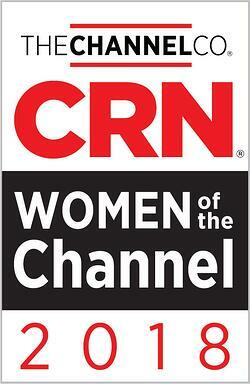 The female executives who comprise CRN’s annual list span the IT channel, representing vendors, distributors, solution providers, and other organizations that figure prominently in the channel ecosystem. Jennifer is being recognized for her outstanding leadership, vision, and unique role in driving channel growth and innovation. Jennifer is a channel marketing and product management visionary with more than 25 years of experience working both in and for the channel. At WEI she drives strategies for marketing engagement and activation, customer advocacy marketing, and community and social responsibility outreach. One such initiative she has played a large role in is WEI's corporate responsibility and sustainability program, WEI StepsUp. Prior to joining WEI three years ago, Jennifer was Sr. Product Marketing Manager at PC Connection, where she managed a team that was responsible for all HP EG product strategy, sales motions, field engagement, and go-to-market planning. Jennifer has also worked for Epson, managing professional storage products where she trained, engaged, and activated channel partners. In addition, she was a Senior Product Solutions Manager for Iron Mountain and has held product management and channel engagement positions at Iomega, where she is credited with developing the company’s hard drive line. She also worked at Canon, where she managed all product management and go-to-market efforts for the Inkjet and laser printer line. At WEI, Jennifer has created a process that strategically aligns sales and marketing “at the hip” so that we are working together to go deeper and wider with current customers as well as engaging new ones. As WEI has grown, so has our number of partners and programs. Today we execute integrated campaigns for more than 10 partners, consistently working to align partner program components with the specific needs and requirements of our customers. This is done with a close strategic view into our market, in close alignment with sales and partners, to achieve the engaging campaigns that our prospects embrace and act on. As a result, we have realized a 33 percent growth in new customer acquisitions over that timeframe. When it comes to innovation and customer care, Jennifer never rests. “While it’s always important to drive net new customers and grow brand awareness, what is most imperative is customer advocacy. My top goal is to transform our loyal customer based into advocates and evangelists. This is how you can build the stronger relationships that transcend products and technology. To achieve this, we are focused at connecting with customers and prospects at the community level, not just to sell them product, but to walk hand in hand with them to partner in delivering the solutions that make a difference in their lives,” she said. Next Steps: Stay in touch with Jennifer by following her on Twitter @JBurlWEI.